A to Z of Rock World Tour 2017 Starts Today! 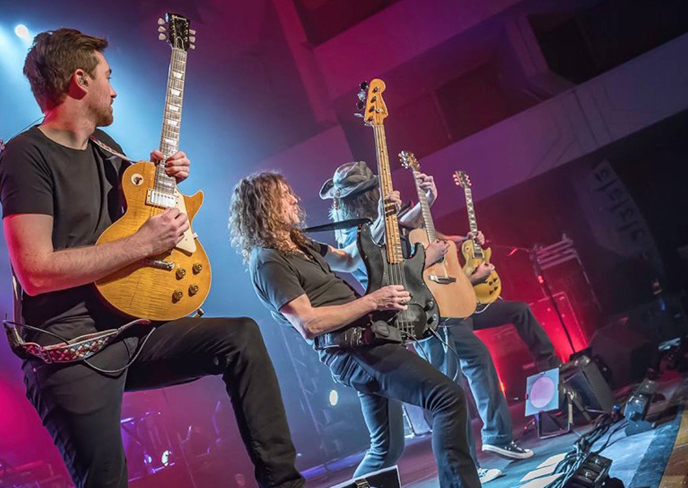 Following the huge success of our 2015 & 2016 ’20 Greatest Guitar Riffs’ tours, and as further testimony to the enduring popularity of Classic Rock Music, our critically acclaimed stage production ‘The Classic Rock Show’ returns to the UK in January and February 2017 to deliver up its eagerly awaited new show, the ‘A-Z of Rock’.Performing the greatest songs from right across the Alphabet of Rock, The Classic Rock Show’s world class band powers through Classic Rock’s finest moments, from AC/DC and Aerosmith to Eric Clapton, The Eagles, ELO, Lynyrd Skynyrd, Meatloaf and Queen to The Who, Zeppelin, ZZ Top and everything in between, performed with note-for-note precision that truly brings the original iconic and era defining recordings back to life on stage, with a huge sound and light show to match plus much, much more! A to Z of Rock USA Dates Announced! Guitar Greats - World Tour 2018 UK Tour Announced! Brit Floyd Announce their Pink Floyd Immersion World Tour 2017!